Arsenal Firearms (thought it was EAA... maybe they are related to each other) actually had multiple double 1911s to fondle at the NRAcon. I had known they made one, but didn't know they were going for production runs. It's about as big around as a Sig. But I always thought of Sigs as fatter than they need to be. There was a half dozen at this display. Look at that double mainspring housing. Lots of parts on the gun look stock, but obviously others have to be made for the model. Like that mainspring housing. It looked like one piece, no welded seam I could see, but I could be wrong. I think it's a pretty slick build. I wonder what it feels like to shoot? Sorta solves the whole "only got 7 rounds" but really, you only get 7 shots as both barrels go off at once. Some slow primers would make that double bang feel weird I bet. At least your 'double tap' time are simultaneous. No split. I have spent a lot of money on VZ Grips. I'm a repeat offender. And I bought a set at the NRA convention. Save shipping that way. My favorite texture is the smooth 320S. It's called 'smooth' because it is smoother than their more textured micarta grips, but don't thing they are slick or slippery. The grip in a wet oily hand is still very positive. I would get the slim grips, but something I learned before my 1911 Gunsmith/Armorer class... The regular non slim grips have a function. They ride up high enough to provide some support with it's 'ear' to the plunger tube in the event it starts to get loose. If it DOES ever get loose, you are in a world of hurt, as you won't be able to release the thumb safety. Though maybe I am over thinking the panacea. The plunger term still has room to get loose enough and lock up the thing. It just has less chance of falling off the gun with the support from the scales. At least it sounds like it often feels funny a bit before it fails. Hopefully with enough time to diagnose and address the problem. Forgot to mention.... The smooth gips are less painful on the skin, if your holster leather doesn't shield you from it. IWB holster. At the NRA Annual Meeting? Mike Vanderbouegh, who is skinny now. Didn't recognize him! Just back from Nevada. If he is ever in a mood to tell a story, listen to him. He is a very talented story teller. Travis of The One Eyed King and daughter Emma. The most important thing to bring to an NRA Annual Meeting? Comfortable walking shoes. Do I need to buy 50 receivers, then go through the learning process of building a 1911 out of them, with as much mentoring as I can steal from knowledgeable folks and only expect to make a decent one by number 48 or 49, throwing the rest away? There is no real secret knowledge and magic to making a 1911 though propagating that notion is in the best interests of a 1911 gunsmith and custom builder. Oleg reads my blog halfway kinda regular! Hooray for me! For some reason this gives me a thrill. Did you see me there? Did I have fun? I hope I didn't embarrass myself too badly. But, I just got back from the NRA convention... so... maybe better. More later. I'm one of those Glock haters. Well hate is a strong word. I don't take to them. When I started shooting and tried a plethora of firearms the model I shot the worst was the Glocks. Everyone blames the grip angle. Maybe that's it. I dunno. All I know is it made a target that didn't look too good in the first place, look worse. Well, I've improved a bit, in shooting skill. I still don't shoot the Glock well, but I shoot it better than before. But there are other problems with the Glock. The slide release is in the wrong place. Unlike the 1911 where it is right there, perfect for a left trigger puller. Sure, you can clamshell the Glock, but I like to have an option. I noticed this because another buddy got a Glock 19 recently and it was used and it had a slightly different looking slide release that drew my attention. That's not the only pistol that has given me fits with it's OS. 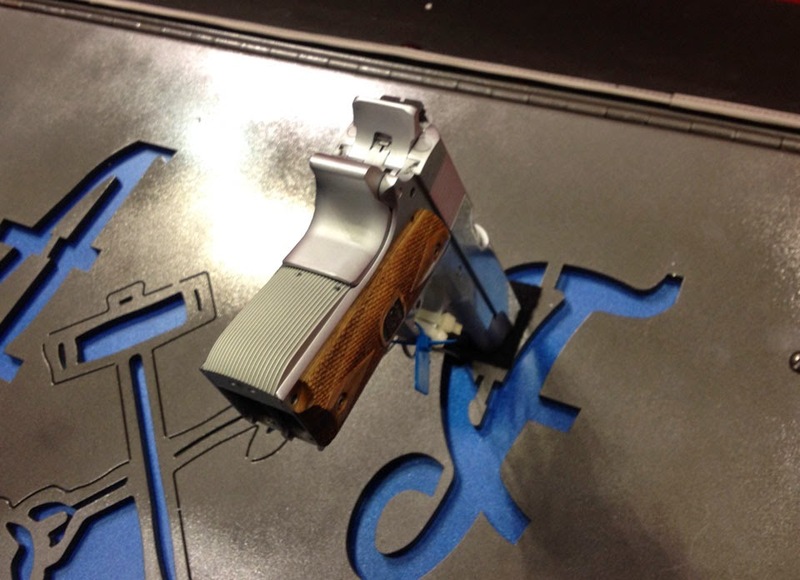 The Sig250 was setup weird, too. And unfriendly to lefties. Yup, the only thing wrong for lefties with a 1911 is the safety and the fact that slide release has a rounded end that sits proud on the right hand slab side of the receiver. The slide release is otherwise perfect for the index finger, and mag release perfect for the social finger. For us. Meh, initial google results are full of idiocy. Surprise, surprise. "Glock Sig M&P Beretta" with no percentages, and for US departments only. The best list was here, about 2/3s down, which bears out Glock-Sig-M&P-Beretta, in that order. Nothing on Yoorip, tho. Every Brit TV show seems to show their constables with Sigs. But that is hardly a scientific survey. One more thing about Hatfields Gunsmithing. While he is an FFL, he doesn't have a lot of selection. He sells guns but is not a gun store. I doubt you could ever get a Taurus Judge there. But you might get a VERY expensive 1911s. If you dropped off your 1911 for trigger work it will take a year and half to get it back because of the line ahead of you. And some of the custom guns built from the ground up are just sick. A 22 round 9mm double stack that felt like buttah. 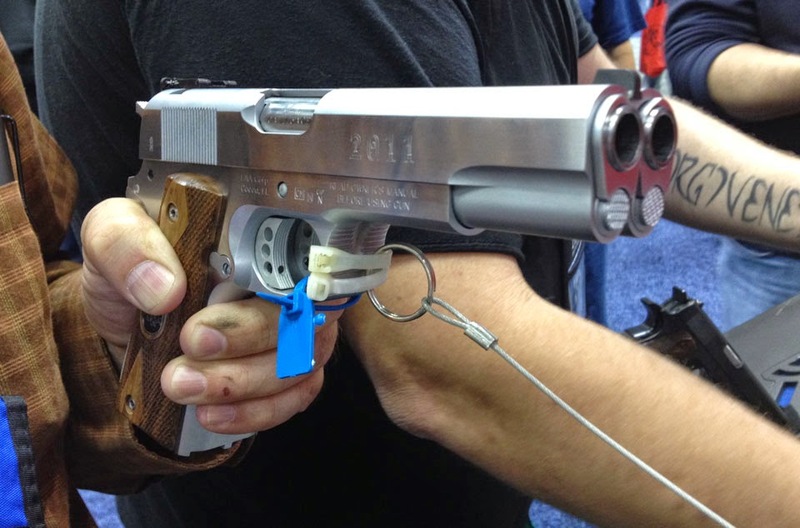 A long slide 1911 with a titanium frame that is light than a Commander. Accuracy guarantees on 1911s that are as good as rifles. $5000 plus, guns. It's just nice to be able to inspect those. 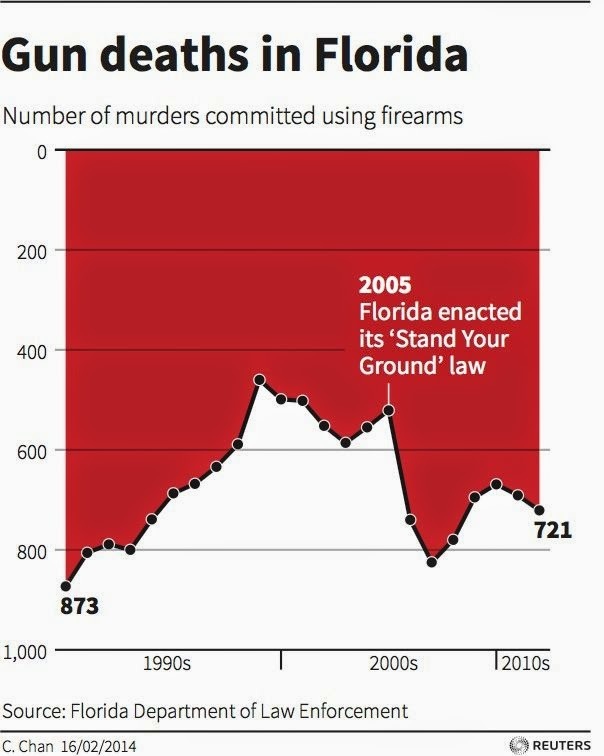 It's because it's not about the background checks. It's about control. It's about putting down the foundation for eventual confiscation. But hey, let's compromise. It's all about the compromise. 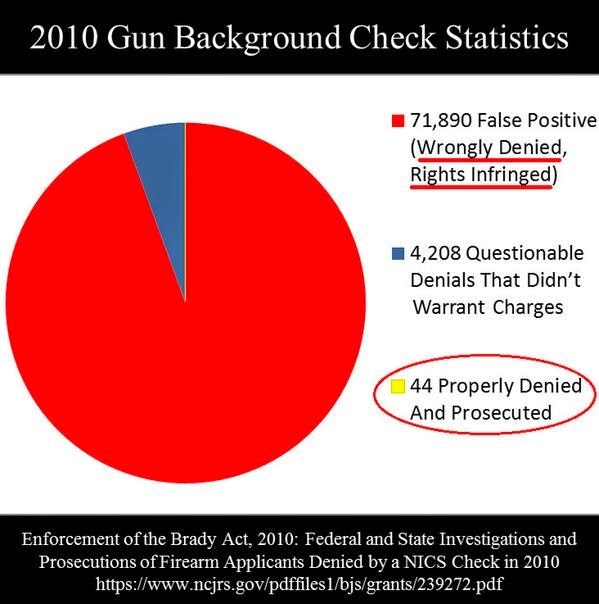 How bout background checks OR the presentation of a valid CCW? A CCW holder has had the background check already, so, no need. And you can show that in a private sale and leave the poor overburdened gov't alone. Or, when you get a background check it's good for a 3 months anywhere. Another shop, a gunshow, a private seller. You've gone 30 years without a conviction, what are the chances you caught a charge in the last month? But no, that would create a situation where forms are not filled out and maybe filed in a database leading to defacto registration. And registration, historically, always, ALWAYS, leads to confiscation. Confiscation? I thought the 'gun-safety' types that used to wear the label 'gun-controller' didn't want to round up innocent people's guns? Well, you see, that's the point of compromise. So, the gunsmith Sam Hatfield at Hatfields Gunsmithing is a big fan of the no-dot U-Shaped rear sight. Pshaw, I thought. How much better could it be? Well, he had me try one and compare it to a 2 dot and 3 dot. He might have a point... It bears further investigation. The idea is, without the distraction of the dots to the rear you can better concentrate on the front sight. It's not normally an issue for me. It turns out I naturally focus on the front sight. Lucky me, it's the only break I've gotten with my pistol marksmanship. But I am not going to shrug off something that makes me focus even faster. And better. "Do we have to carry our 24-year-old daughter on our health insurance policy? She is employed and has two degrees. We informed her that we would be dropping her at the end of the year because it's costing us a fortune, and she told us today that we are required by law to cover her. We do not claim her on our taxes." I'll take Punk Ingrates That Don't Know Their Place for $500, Alex. The same question is in the Ignorance of the Law is No Excuse column. So the armors class did what I wanted it to do. I can take a 1911 down to parts and put it back to together and it still WORKS. Detail-strip, as the kids say. Everything but the staked down stuff like the plunger tube and the ejector. I probably could done it myself, by looking at diagrams and watching youtube demos over and over, but because of the class and the little tips I learned, it's now easy. The thing that intimidated me the most was disconnector/sear relationship. But once you know... You see you hold the comfortable bit of the disconnector in the left hand, pyramid up, and you hold the sear like a cup in the right, then you saddle up the dear on top of the disconnector. Hold the 1911 by putting your pinky in the magwell so you can guide the two into the disconnector hole in the frame and Robert is your Mother's Brother. Still can't follow that? Do it once in the class and it's yours forever. Props to Sam and Hatfields Gunsmithing. The guy is good. A good instructor. If his area of expertise was the Napoleonic Wars I'd be thrilled to take that college level course. Or if it was Botany 101. And I'm not that interested in plants. He's just a good instructor. But man is the class dense with detail. And it's almost impossible to take notes because you are working on a gun the whole time. I'd almost want to take the Beginner course again to pick up and reinforce the info presented. Maybe keep a few more details in my head. Gonna look into the intermediate class, too. If you are ready for the Zombacalypse, the EMP blackout is about the same. You worry less about bites, but the 'shamblors' are more formidably clever. So I pick up OldNFO's book on the top of the stack with a bit of trepidation. Because, what if it is no good? It's his first book, to my knowledge, and how many of those are really any good? Especially nowaday with self publishing proliferating and easier. There were plenty of BAD books back in the days where a handful of publishing houses controlled everything and people besides the writer had actually read the stuff and could jettison the dreck before the presses spun up and it was too late. What are the chances nowadays? What if he wrote in crayon? I know the type of personnel that went through Pensacola Naval Air Schools Command, it'd be written in crayon if we were LUCKY. Anyway, so I pick up OldNFO's book, The Gray Man, with that frame of mind. And sure enough... that phrase seems clunky, there's a typo, that's a tired cliche, there's another typo, kind of a weak opener... I'm not even on page 7 and thinking this if going to be a slog. Then I look up and it is chapter 10 and I have no idea where that time went. Wow. I never should have doubted. I only put it down because it's a school night and I gotta get up early to make the donuts. And I can't wait to take it up again. I'm sure 'Fo himself will admit it's not literature. Never meant to be. But it does what you want it to. Draws you in and engages you. His action sequences are very good. There is only the slightest distracting hiccups in the interpersonal stuff of the characters. And the one girl with broken ribs and recovering from a collapsed lung does a little too much hugging. I broke a rib once. I'd be hesitant shaking someone's hand if it were me. I'd have bought this book and enjoyed even if I DIDN'T know OldNFO. Money well spent. My trepidation was misplaced. Mea Culpa. 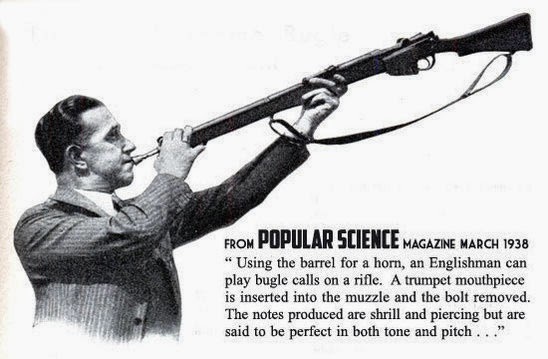 Now this is a gunnie's delight, so it has that appeal to a certain subset that reads stuff like gun blogs. I've never read the Jack Reacher stuff, so I don't know, but, I have a feeling NFO has and drew some inspiration from that corner. Went to the 1911 armorer course yesterday knowing I knew nothing about building my own 1911. I just knew that everything impacts everything else. Change one thing and you might have to change EVERYTHING else. Nearly. The online presense of the metrocon fortnightly is noticing that there are way too many SWAT teams out there squaring off against non violent offenders or suspects. If you are gonna arrest someone with a clean record for clamming next to navigable waterways you probably don't need to send the full breaching team with sniper overwatch on the run. But hell, you paid them to do all that trainig and get all that equipment, might as well use em. The family Corgi isn't gonna shoot itself. "Take the case of Kenneth Wright of Stockton, Calif., who was “visited” by a SWAT team from the U.S. Department of Education in June 2011. Agents battered down the door of his home at 6 a.m., dragged him outside in his boxer shorts, and handcuffed him as they put his three children (ages 3, 7, and 11) in a police car for two hours while they searched his home. The raid was allegedly intended to uncover information on Wright’s estranged wife, Michelle, who hadn’t been living with him and was suspected of college financial-aid fraud." Do you need a SWAT team for those, or a single officer in a black and white? Maybe 2 officers? Think of the saving in gasoline, alone. Then there is this guy. Dunno if he was SWATted for that, tho. For a Twitter parody account. And don't forget this one. Gibson Guitars. Next week is the NRA convention. Ima gunna be there. I don't have much on the agenda of things I must do besides 1) get blog fodder and 2) sight Tam and RobertaX in the wild to add them to the bloggers-I-have-met list. The rest I play by ear. I expect to see multiple other folks I know already, look at the acres of stuff, and enjoy an adult beverage or two. I've done this before, in Pittsburg. Not my first rodeo. But I'm not wizzened veteran at this, either. Is there anything I must add to my dance card? Just finished it. I had read his auto-biography years ago, but wanted to see what the early 20th Century thought of William Tecumsah. The language is a little closer to Dicken than to a terse Hemingway. It's a bit distracting, but not too bad. Certainly obvious. He must use the word 'thither' a hundred times... As in thither and yon. Sherman auto-biography is less flowery. Hart was a Brit WWI vet that turned into a historian and military theorist and military correspondent after the war. He was shaped by the static lines of the Great War and was looking to the past to get more of a maneuver warfare up and going again. His publisher wanted him to go a US Civil War general and preferred Robert E Lee, but, Hart wanted Sherman. Lee was certainly a masterful campaigner, but what Billy Sherman did was more original, he thought. So what was so new about Sherman, according to Hart? Well the generals of that war were obviously greatly influenced by what Napoleon accomplished. But Sherman thought the text books in English got the point wrong about concentration of forces. Doctrine concentrated forces too early. Large armies marched in multiple columns, but then came together when getting close to an objective. Sherman thought it better to keep them separate and to march in a way so the enemy didn't know what his objective was. This kept the enemy unconcentrated and guessing. Now Lee would try to gobble up one of these smaller wings piecemeal, if they had faced each other, but Sherman had that covered by marching light, and therefore fast. Hard to get cornered that way. By this stage of the war armies were putting up improvised trenches and battlements when they stopped, increasing their defensive power when technology had already gone a long way to give advantage to the defense. When defense has the advantage you let the enemy come and break upon your line and you don't attack his line. Instead you maneuver around, obliging him to withdraw or have his lines of communication cut. Sherman was a thinker, while Grant fought instinctively and persistently. Both styles were a novelty for Northern generals at the time, and why they stand out. Sherman 'played' chess, while Grant was more of a 'checkers' man. Another feature of Sherman's style was realizing the value of indirect support. If your wing is pressured by the enemy you can deploy troops to support them directly. Or you can use the same troops to engage another area, taking pressure of the first indirectly. If you tie down Lee's army around Richmond, and Beauregard's army in Tennessee, your army only has to contend with Johnston's forced around Goldsboro, if you expand that principle to the strategic level. So indirect maneuver and indirect support. His men loved him for it. Less slaughter involved achieving victory, so while morale of the enemy plummeted his friends' soared. B H Liddell Hart was also supposed to have shaped tank warfare pre-WWII with this study of maneuver warfare in history. Maybe. There is some argument about how influential he was. Did Rommel and Guderian really pay much attention to Hart? Maybe. Increasing the assault of civil rights to the tune of $50,000,000 extra. “This is not a battle of dollars, this is a battle for the hearts and minds of America so that we can protect our children, protect innocent people,” former-mayor Michael Bloomberg said. He sure does lie a lot. Not the US Post Office is making a big ammo purchase! First the weatherman, now the postman. I guess I better cut back on putting the garden house in the big blue mail box on the corner. I might get a 1,200 feet per second delivery to my hinder. Is the American people gonna have to do some pushback at places besides Nevada cattle ranches? Perhaps. Or perhaps the Postal Inspectors are out of ammo, and now that supply is better maybe prices are down, and they need to restock after a long ammo drought. I still don't like the optics of the feds buying more ammo for internal purposes. That's OUR job. As Tam says, I don't care if 150 million Americans murdered 150 million other Americans with a pistol last night. A pistol JUST like one of mine. I didn't. So leave me out of it. And we will. The victory will taste sweeter here in the Blue States, resisting gun control. The legislature here in Maryland has adjourned with none of the gun banny type laws being pushed forward. Too busy doing other silly lefty things like raising the minimum wage for everyone (unless you work for tips, or the company you work for is a small business, or it's an amusement part, so... just Wal Mart, I guess.) Too busy, plus, gun control isn't the voter-pleaser they thought it might be here in the Old Line State. They are going to be forced to change and I will enjoy their sweet sweet tears when they do. How many peeps will stop a bullet? Is tomorrow. You are supposed to use you tax refund to get a new gatt of some sort. Or, you are like me and less enthused this time around. Mainly because while I got $200 some back from the State, I have to pay $300 some to the Feds. But I do like the way I have my witholdings dialed in to about neutral. I don't want Uncle Sucker to be holding MY money and not paying me interest for the loan. I also don't want to have to write a four figure check to him, too. Speaking of finances, I DO keep a grand in cash in the house, hidden. Just in case, as an E-Fund. If I had to bug out I'd take that with me. And I take it to gun shows and such in case some rifle shouts my name. I don't want TOO much cash outside of a savings account or what have you, nor too little. $1000 is about right. No, I'm not telling you the super secret hiding place. But hell, there are many. Pockets of old coats. In a ziplock bag duct taped behind the sink. Behind a picture. It's not any of them. If I did have gun buying money, what would I buy? Hmmm... Winchester 88. What else? Hmmm... Nothing on the list speaks to me. I did opt to go to a gunsmith class later this week... Well, armorer class. Con the banners? Isn't that underhanded. It's politics, not beanbag. Don't do anything illegal, naturally. That's what the other side does, but maybe discourage an idiot neighbor that'll never vote for freedom. "Oh, voting doesn't matter, why bother. It's Maryland, a Dem is gonna win, and I got better things to do on my Tuesday in November"
I would never commit that felony. I like living OUTSIDE of prison. Even a miniscule risk is too much, plus it is wrong. I have more integrity than that. Cheating is what the bad guys do, so this arm will remain tied behind my back in this fight. Hmmm, makes sense that 80% 1911 lowers would be available. So this over on the Firearm Blog. At Ft Hood Obama Vow to Keep Firarms Out of the Hand of the Mentally Ill.
On the one hand, good. I have advocated for mental health reforms. If all the energy that went into unconstitutional rights violations went into fixing that, we'd have been better off. On the other hand... It will lead to injustices. People's rights stripped away in a non-adjudicated manner. It'll sweep up people not deserving to be swept up. And I certainly don't trust the Obama administration run a new system like this. Even if written by the NRA/ILA, this administration seems less concerned with the whole Rule of Law concept, and would interpret it to suit themselves and strip folks of their civil rights. Good Presidential quote: "In our open society, and in vast bases like this, we can never eliminate every risk, but as a nation we can do more to help council those with mental health issues..."
Bad Presidential quote: "...to keep firearms out of the hands of those who are having such deep difficulties." Yes. But there is many a slip between the cup and the lip. I saw Charlie's Angels for the first time this week. The 2000 Diaz, Liu, Barrymore version. It was on a commercial free channel that Comcast gave me to not jump ship on their services all together, so, I figure, what the hey. Not a lotta gun play in the movie, and what there was was ineffectual. They wanted the ladies to concentrate on taking out the bad guys with the Chop Socky. Lots of wire-suspended judo kicks to the head. Example of the ineffectual gun work... Drew Barrymore dodges a bullet fired from 15 feet away out of a SA revolver. Which I guess is sorta possible. In that the shooter can miss from that distance. Also, the Heavy, played by Crispin Glover (MacFly!) does something common in many Hollywood movies. Which means it's a common tactic, now, for the rest of the world. He mag dumps a Luger over the shoulder at his pursuers. Sorta like laying down suppressing fire so the rest of his squad can maneuver on the enemy's flank. I guess. Except he is alone. He wants to use all that sound and fury to allow him to escape, but then doesn't escape. A martial arts battle breaks out. Then he escapes. Sheesh. Take your time and actually hit one or two or three of the women chasing you. Might make it easier on ya, buddy. You weren't scared or stressed, so you might have been perfectly good with the fine motor skills required. Oh, and carry a spare magazine, perhaps? 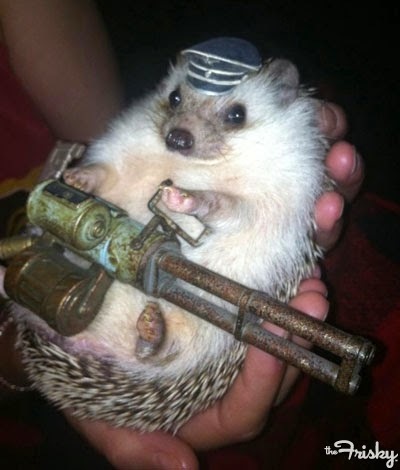 They don't want to let Brits have guns about, wot? There was a clever mnemonic someone came up with a few months ago for the 4 Rules of Gun Safety. Or maybe it was an acronym... It was clever and simple and one I was gonna use it on new shooters. It was so good there was no way to forget it. Anyone got any clever 4-Rule mnemonic? Sumthin clever? Loaded (stupid!). Muzzle. Finger. Target. What? You sorta are sposed to do that, right? This beat up old Singer brand 1911 is gonna need a lotta grinding. Is not causation.... But the studies that indicate it might be keep piling up. Maryland, even Democrat Maryland, is going to be forced to put up shall issue CCW. Sooner rather than later. "What, State Senator? Why are your for more crime? Vote for CCW!" I do need to add some links. Or at least make them on the more prominent list. Monster Hunter International has been languishing on the tertiary link list. And Modern Service Weapons, now that the 1911 is fading into the rearview mirror. The NRA still isn't 'hep' and 'with it' when it comes to online communication. If I were them I'd have a social media monitoring presence 24/7, too. But it took them 15 days to respond to my email of "Hey, my NRA ballot never came..." and by the time they did get around to talking to me the deadline was passed. The trend back to 9mm recently continues. More ammo on board, ya know. Don't want to find yourself in a pickle for the inability to shoot back. Sound consideration. I am waiting for this to start getting innovated. A modern Sungaard. That gun has 2 double stack magazines for a total of 50 rounds in the gun. And that was back in the dark ages, before the Great War. I dunno if you could stack .380 50 rounds high, but you can certainly get a lot in there. Noticed I waited until today to comment on the shooting? I was waiting for some of the facts to shake out and be, you know, actual facts. But it's Friday Morning now, getting on to 48 hours. What details have changed? Well, 'suspect had known mental health issues' seems to be a catch phrase. But isn't it always with this sort of thing. If they spent one quarter of the time they spend now, trying to ban guns, on improving the mental health system in this country. 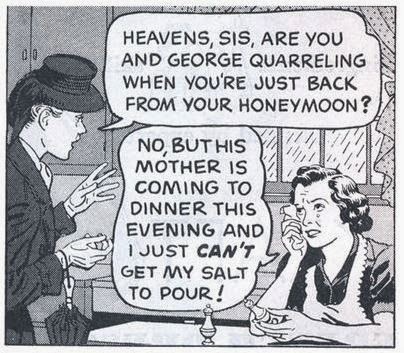 A later detail: "It was the Ambien!" Anecdotally, I have never heard someone talk about taking Ambien without talking about freaky side-effects. Like that means anything, though. It does mean it'd take a lot of convincing to get me to try Ambien if I needed a sleep aid. He was a Slipknot fan. Ok, that should have nothing to do with anything. But it's typical of what you get 24 hours after an event. Smith and Wesson. Dunno if a M&P or 1911. There is still the confusion of the timeline. Was it over all quicklike, or did it all take several long minutes? Colonel Bateman has what he thinks is the solution. Boycott places that don't ban guns. Good luck with that, 'colonel'. That's the sort of tactic that may backfire on you and your buddy, Mike Bloomberg. Gonna boycott Woolworths, next, for letting African Americans eat at their lunch counter? Bateman thinks Starbucks banned guns from its stores. Odd fella. Or solvent? In my range bag? Well, I'll tell you... I have a phobia about all kinds of leakages. Roof. Radiator. Box of wine. Personal 4th point of contact. Other people's 4th point of contact. Commuter mug. And solvent from a container of gun cleaner is another. Anyone know a full proof tiny container (spark plug size) I could add to a cleaning kit? One I can trust more than I can trust myself after eating a sleeve of those fat-free Pringles with Olestra or whatever? Leak proof. Nigh unbreakable. Ooo, I wanna SEE this zombie movie. Plot Summary: In "Cooties," a substitute teacher at a new school experiences the worst first day imaginable when he discovers that an outbreak of a mysterious virus is transforming the students into rampaging tykes. The film hilariously illustrates that sometimes kids can literally turn into little monsters. 6,220 people were homicided with a pistol. In 2011. 2 thousand something by other firearm type or a firearm not specified. But we'll handwave that away as if it didn't matter because that total is almost the same as people murdered by either knives or blunt object. This is not even counting people killing people with their bare hands. I am sure Handgun Control Inc (old name for the Brady's) will agree and recognize handgun murders as the greater scourge. Wow, 6,220 is a lot less killing than the 30,000 number they often seem to cite. Hmmm, it's as if they were trying to over-inflate their numbers to gain more legislative sympathy.... Seems manipulative. Now here would be an interesting thing to know, but perhaps difficult to discern. How many of those 6,220 murderer/murder-victim pairs was it where both individuals had more than a few criminal convictions on their rap sheets? The general public cares a little less when hardened criminals kill hardened criminals. In fact you get a lot less recidivism that way. And what's it matter how criminals off other criminals, means-wise, right? So, half is 3,110. One murder by handgun in 100,000, for the population of the U.S. Makes us as safe as them fancy Yoorip countries that the Democrats want us to be more like. Like Luxenburgundia. And all without a gun ban or nuthin.